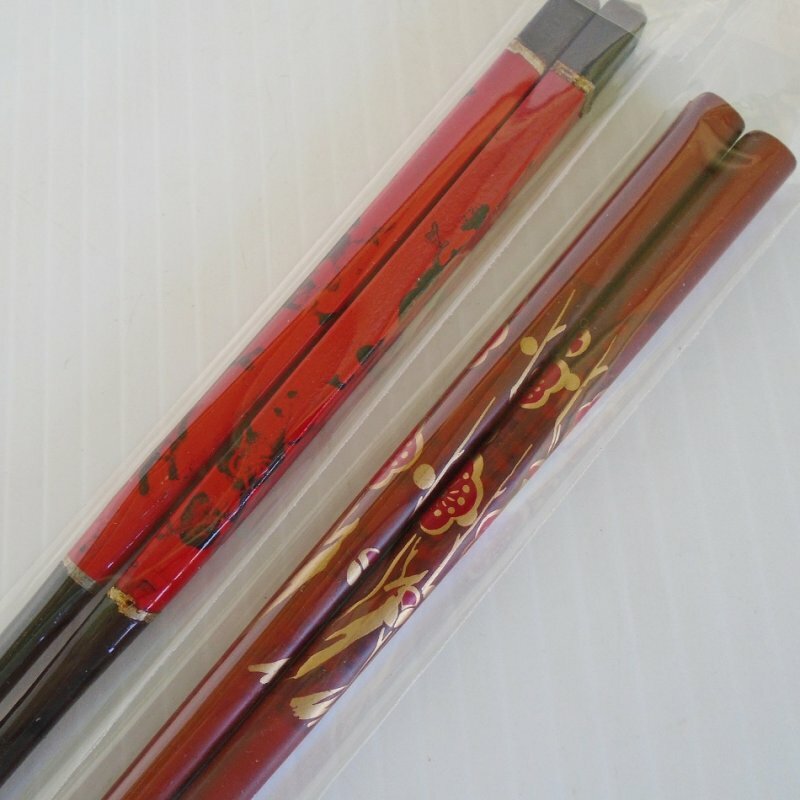 2 pair of chopsticks, one pair is black and red, the other is brown with red flowers. More towards the high end in design. Each in sealed packaging. 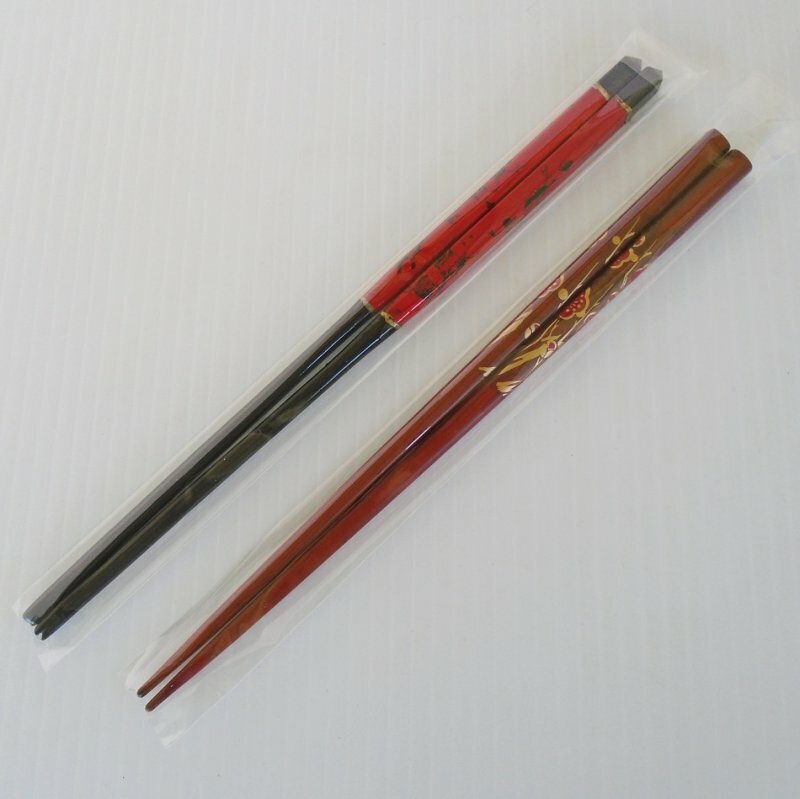 There are 2 pair of chopsticks in this listing. One pair is red and black in color and measures 9.5 inches, the other pair is brown with red flowers and measures 8.75 inches. Both pair are enclosed in sealed packaging, so I assume they've never been used, but they were not originally mine so can't promise. Looking closely at them, I see no evidence of usage though. Because they do not have the store tags, per Google rules I cannot list them as being new. Buyer to pay USPS First Class Mail Parcel delivery charges of $4.40. Delivery is from California.